When designing for print, one of the most important things to remember is preparing your data in CMYK. Data that is created in RGB colour mode, show really bright and vibrant colours on screen. Unfortunately, it’s not possible to reproduce these same bright and vibrant colours in CMYK. When necessary, we can convert RGB data to CMYK, but doing so makes the colours change. Those bright and vibrant colours become darker and dull in CMYK. RGB (Red, Green, Blue): uses light to create colours. CMYK (Cyan, Magenta, Yellow, Black): uses ink to create colours. Please note: The images you see on your monitor will always look somewhat different than the final printed piece. Monitors / Screens display colour with light, while offset / digital presses print with ink. There are going to be varying differences in the visual results of printed matter. This is an unfortunate but expected result of CMYK printing. RGB stands for Red, Green and Blue. These are the primary colours of light. By mixing the light values, you get colours. You start with black, and as you mix them all you get white (light). RGB colour is used by devices that emit light, such as computer screens, TVs, phones or LCD screens. 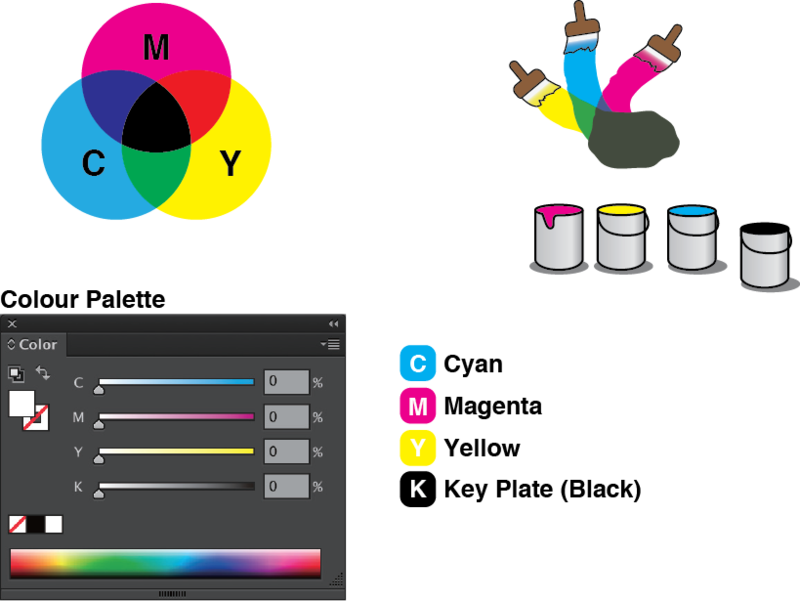 CMYK is the standard colour system used for printing. When we mix Cyan, Magenta, Yellow and Black inks, we create colours. As the CMYK inks overlap each other on the paper, they eventually go from white (paper) to black. 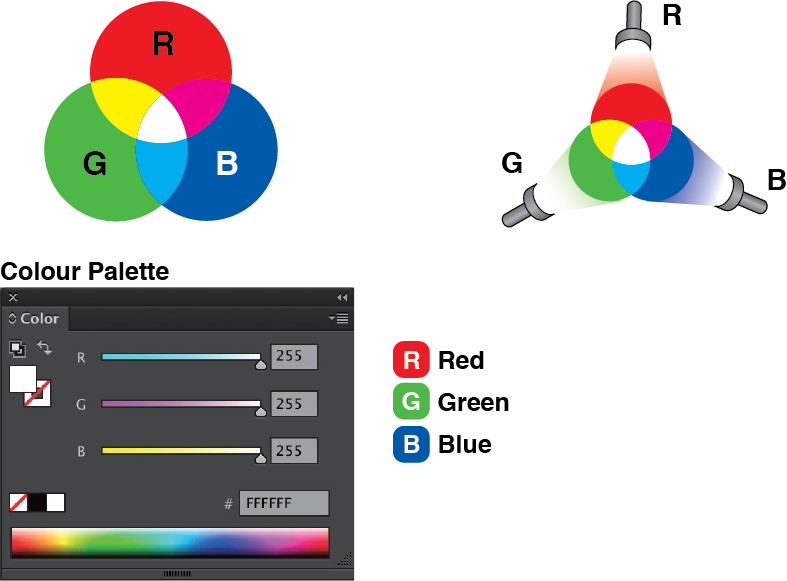 Please note: Since RGB uses light and not ink, it is physically impossible to print RGB files without first converting them to CMYK, which is based on blending ink instead of light. Where colour accuracy is critical, we strongly recommend investing in a printed sample to avoid disappointment.